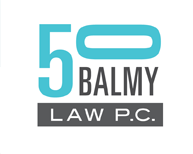 Our Work | 50 Balmy Law P.C. This is the right firm for art and social justice nonprofits. We advise on entity formation, operations, governance, compliance, transactions, and dissolutions. We relish working on complex hybrid multinational, multi-entity non-profit / for-profit structures, and legacy plans. The world-renowned Burning Man organization chose us to architect its transition to nonprofit status. We litigate exclusively in federal court on art and entertainment-related copyright, trademark, and ancillary publicity rights matters. We have achieved excellent results for clients in arbitration and mediation. Tenacious and fierce, we have achieved victories at the U.S. Supreme Court, the Federal Circuit, the Ninth Circuit, several District Courts, and the Trademark Trials and Appeals Board.